A new tradition found its way into TWU’s homecoming and reunion week this year. 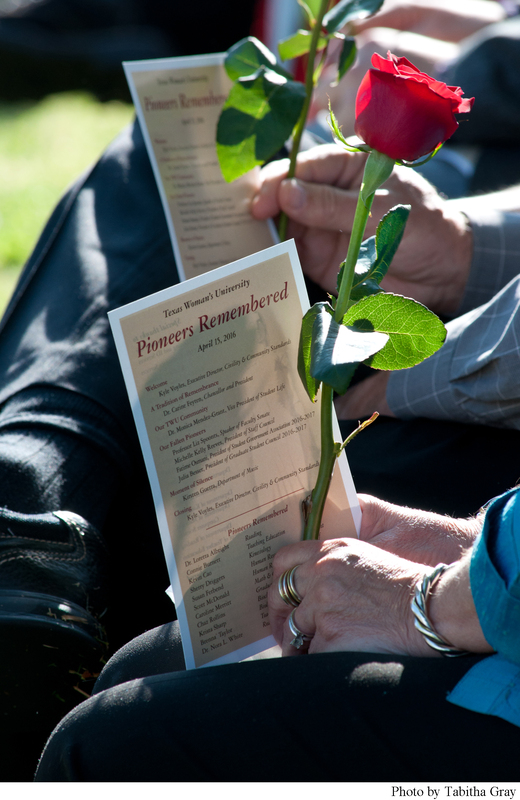 The Pioneers Remembered ceremony honors alumni, faculty and staff members that have passed away in the year prior to the ceremony. 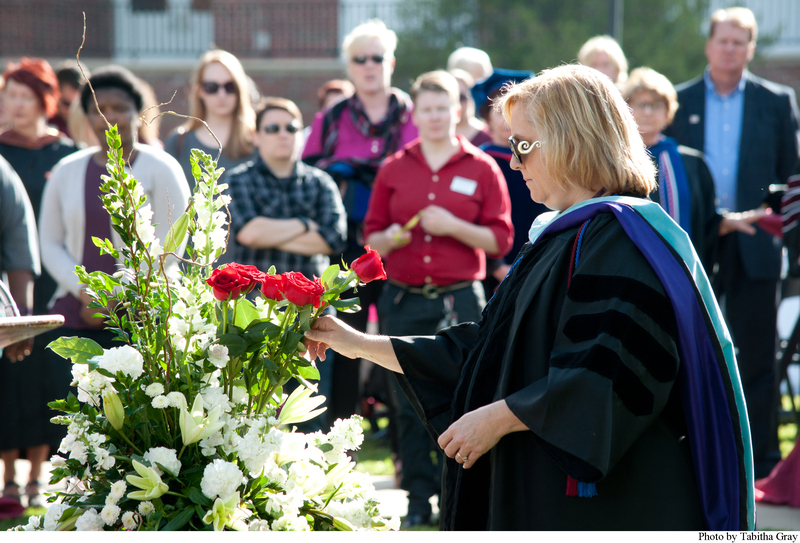 The April 15 ceremony recognized 11 Pioneers that passed away in 2015; four faculty and staff members and seven students. The Office of Civility and Community Standards hosted the event. The ceremony opened with a flute solo from graduate teaching assistant Kristen Guerra from TWU’s Music Department and opening remarks by Executive Director of the Office of Civility and Community Standards Kyle Voyles. President of the Student Government Association, Fatime Osmani, and President of the Graduate student council, Julia Besser, called the names of students who have passed away; Connie Burnett, Kevin Cao, Scott McDonald, Caroline Merritt, Chaz Rollins, Krista Sharp and Brenna Taylor. After each name a family member or friend placed a red rose into a large bouquet of white flowers. Reeves then called the names of the late staff members, Sherry Driggers and Susan Ferbend, and Professor Lizabeth Spoonts, from the Dental Hygiene Department, called the names of faculty members no longer with us, Dr. Loretta Albright and Dr. Nora L. White.